What would you do today if you were being brave? Courage begets courage. It's a habit. Doing something brave everyday - no matter how small - unlocks new possibilities, opportunities and pathways to thrive in your work, relationships and life. Drawing on her background in business, psychology and coaching, best-selling author Margie Warrell guides you past the fears that keep you from making the changes to create your ideal life. In today's uncertain times, fear can unconsciously direct our lives. Start small, dare big, and begin today to live with greater purpose, courage and success. 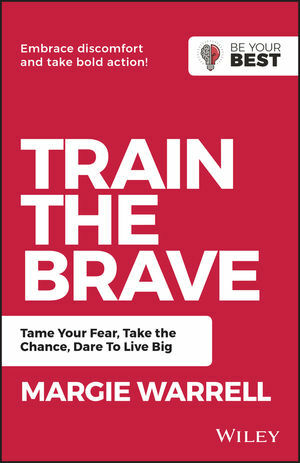 Originally published in 2015 as Brave, this book has been reviewed and redesigned to become part of the Wiley Be Your Best series - aimed at helping readers acheive professional and personal success. Margie Warrell provides leadership, communication, and courage-building programs for organisations including NASA, UN Foundation, AOL and Accenture.